Choo, choo I am a train that doesn’t stop! I’m non-stop! I read a lot and wrote a lot of reviews. Black Canary: Vol. 1 came out, as well as an awesome Black Canary EP! I absolutely adore Black Canary. And when news was buzzing in the comic book world that something super special was coming out for the release of the Black Canary comic, I was frickin’ excited! The surprise was a special Black Canary EP, which is perfect since the comic is about a band, and I immediately bought it. I highly recommend this comic (and the EP)! Why? It’s about superheroes + music, found families, stunning art, and totally badass. I became obsessed with Bollywood. I went to see Lyndsay Faye yesterday! I loved Jane Steele so much that when I heard Lyndsay Faye was gonna have a book event here, I knew I needed to go. 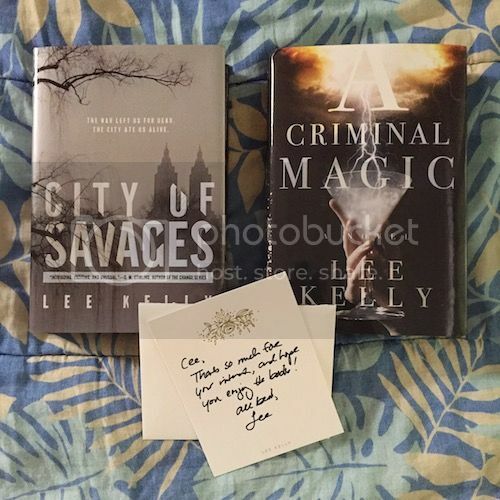 Thank you, Jana and Lee Kelly! Thank you for the books, Putnam Books (Penguin), St. Martin’s Griffin, Penguin Teen, Bloomsbury, HarperCollins, and Random House! Lady Killer • Get your 1960s homemaker-killer fix! How was your March? Was it a great month for you? Anything you’re looking forward to in April like books or events? What a busy month. Cool you met an author. Hope April is just as good. 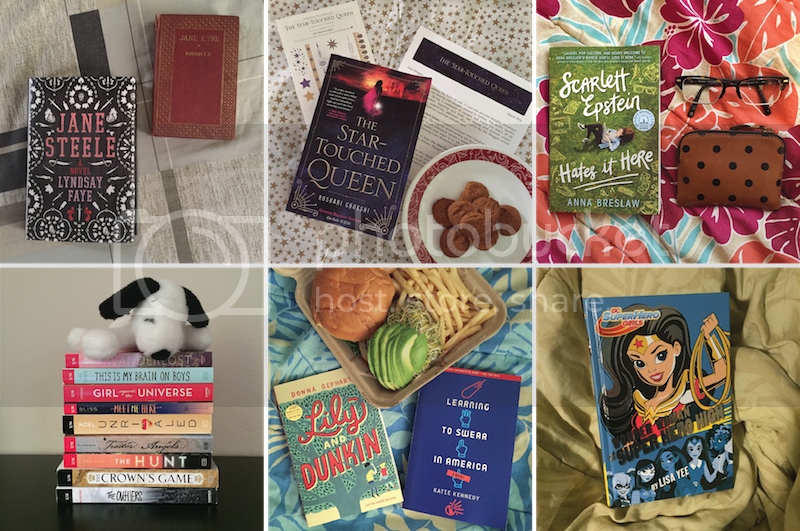 Yup, your plans for April sound fairly typical for you ;) I definitely hope we both read a ton and write a ton (reviews or otherwise) next month! I’m impressed — you did read and review a ton! And so exciting re: Lyndsay Faye!! So many of the books you read for review I can’t wait to get my hands on. The Star touched queen, Jane Steele and the crowns game all sound so good. March wasn’t an amazing reading month for me read a lot of just ok/ ‘meh’ books, although did manage to read two 5 star reads so that helped balance it out. I WANT TO MEET LYNDSAY FAYE You get to meet all the cool people. That’s awesome. And I want the Crown’s Game. Like. So badly. I JUST NEED IT IN MY LIFE. Being drunk does not help this feeling of despair that I have when I think of the fact that I don’t have it. I didn’t realise your Bollywood obsession had reached these levels. That’s commitment. Do you need me to send help? Have you watched Bride & Prejudice yet?